The loudspeaker is based on a cabinet design which was made available to Auditorium 23 by Ken Shindo (Shindo Laboratory, Tokyo) during his lifetime and consequently was named Hommage à Ken. 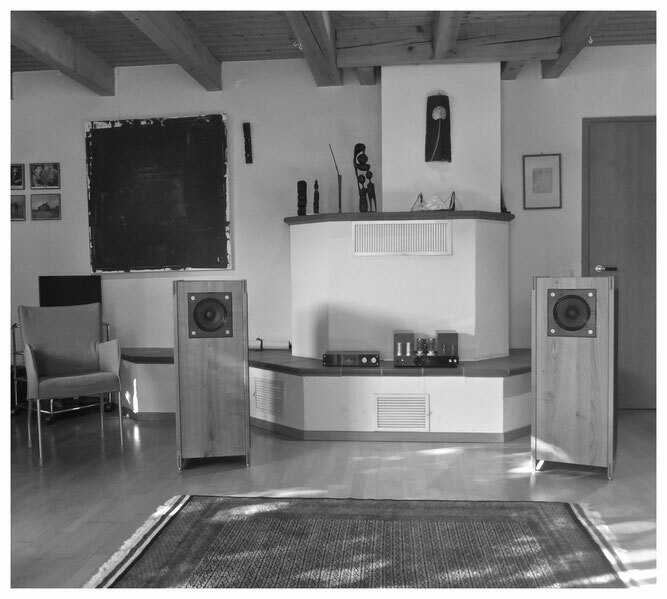 The development and realisation of the concept - supplemented by further insights that derived from the manufacturing of other speakers by Auditorium 23 - led to a result that gives a strong signal in the segment of full-range speakers. The physical properties of the LM 755 driver are perfectly maintained in all parameters by LineMagnetic Audio. The extreme complex and costly Alnico-structure, the thin pole plate, the 'overhanging' wound voice coil (manufactured for the first time by Western Electric and a feature of the 7 series), the accurate and well considered large conception of the spider in a wisely produced basket with little windows, the flat shape of the membrane, built as a one piece dome-construction out of the cellulose-pulp - properties which Western Electric designed in the 1940s. More than a few consider the WE 755 driver to be the best full-range driver in general. The careful tuning of driver and cabinet and the sonic result confirms, that the Hommage à Ken is one of the best full-range speakers you can buy. Its ability not only to make audible the slightest detail, but to maintain the organic coherence combined with a spatial presentation that endows each tone with the natural wholeness and substance. It leads to a reproduction of recorded music that impresses by its tremendous ease and expressivness. 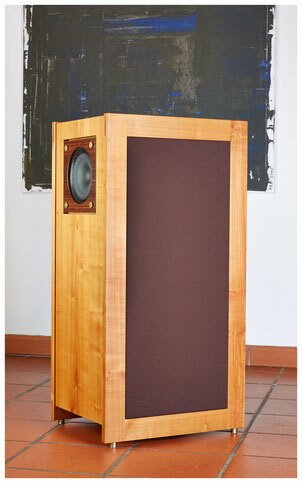 Full-Range loudspeaker using the LM 755 Alnico driver. The solid wood cabinet is manufactured in manual precision work using the principle of a back-loaded horn. 93db efficiency 1w/1m at 4 Ohm impedance. With an overall height of app. ca. 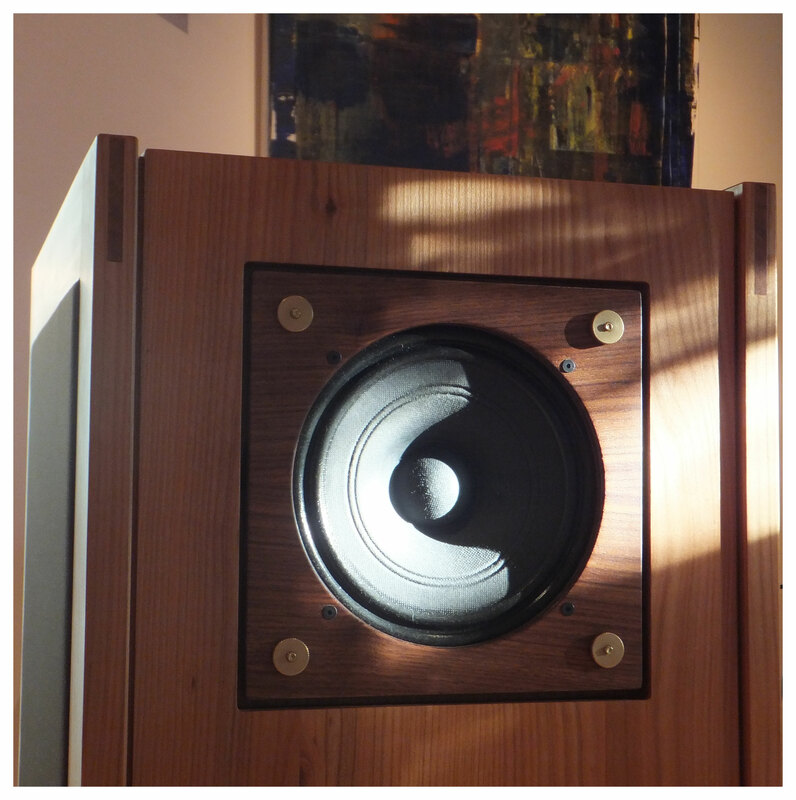 3.3 ft and 1.3 ft x 1.6 ft in width and depth, the Hommage à Ken is not a small speaker. But the volume is needed for the optimization of the 755 driver in relation to such a cabinet design. 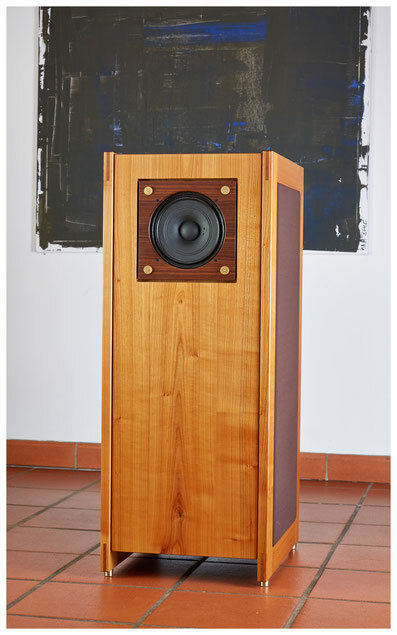 All visible wooden parts are manufactured in manual work with solid wood (cherrywood in the image) and partly covered with high-quality textile.